We’ve all had times when a video’s quality is not what we’d like it to be. The issue is particularly pertinent on mobile devices; a shaky hand, less-than-ideal lighting, or poor-quality hardware can ruin a recording. If you’ve ever wondered how to improve video quality, you’re in luck. Today, we’re going to run through the best video quality enhancers. Why Should You Use a Video Enhancer? So, which apps are the best video quality enhancers? If you’re looking for an affordable desktop video enhancer, Filmora is a solid choice. You can either pay $39.99/year or buy a lifetime license for $59.99. A free version is available, but it leaves a watermark on your content and doesn’t give you access to the app’s vast library of effects through the store. 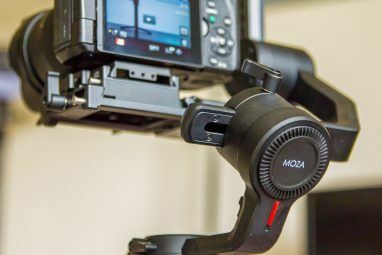 Filmora’s tools to enhance your video include stabilization, brightness, contrast, tint, and saturation controls. There are also plenty of overlays, motion graphics, and title templates. Lastly, multiple video formats are supported. They let you export videos in an optimized format for posting on YouTube and Vimeo. There might be times when you need a video quality enhancer while you’re on-the-go. If you have an Android device, one of the best apps available is PowerDirector. It has over 10 million downloads and an Editor’s Choice award from the Google Play Store. PowerDirector is almost a professional-grade app, yet it’s free to download and use. Features include multi-track timeline editing, an effects editor, support for blue screen and green screen with chroma key editing, voiceover tools, and abundant effects. The app also has a photo editor. If you’re already using a photo editor for Android, you might be able to delete it save some space on your device. Avidemux is a free, open source video editing and processing app. If you want to make your video’s quality better, you can make use of the software’s stabilization tool and its video resolution converter. You can upgrade videos regular into high definition resolution. It’s a great app to use if you’ve got a wide variety of video formats in your library. The app supports FLV, MKV, AVI, WMV, MOV, OGM, MPEG, MP4 and more. On the downside, Avidemux does not offer a video timeline or creative effects. Which means it might not be suitable for people who need a video enhancer for their work. If you’re an iOS user who needs to improve a video’s quality, you should check out Pinnacle Studio Pro. The app works well for enhancing iPad videos as well as iPhone videos. Pinnacle has been producing video editing apps for a long time. The iOS version isn’t as packed full of features as the desktop version, but you’ll still have access to speed and transitions controls, individual frame editing, effects such as picture-in-picture and pan-and-zoom, and an audio editor. It’s also an excellent app for people who want to post enhanced videos on social media, with easy share buttons for YouTube, Facebook, Twitter, et al. Unfortunately, unlike PowerDirector, Pinnacle Studio Pro is not free. You’ll have to pay a one-time fee of $12.99 for a license. First and foremost, FonePaw Video Converter Ultimate is a video resolution enhancer. The app upscales video resolution, letting you convert a 480p video to 720p, 1080p, and 4K. 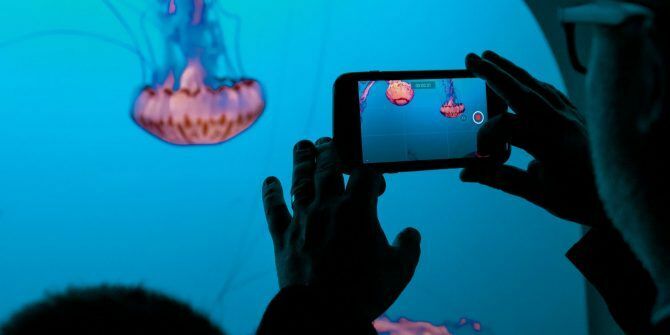 You can also use the app to improve dark videos by making them lighter, stabilize videos by reducing shaking, and to edit the color balance of a video by adjusting hue, saturation, and contrast. FonePaw Video Converter Ultimate works with lots of video formats, meaning you shouldn’t need to go looking elsewhere. 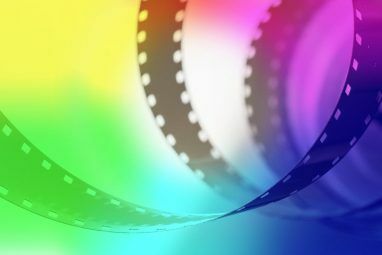 Supported formats include MKV, AVI, WMV, MP4, FLV, MP3, WAV, M4A, WMA, 3GP, and MJPEG. The app is not free. You can enjoy a trial with no restrictions, but thereafter you’ll have to pay $29.95 for a lifetime license. Videoshop is a cross-platform smartphone app that aims to bring a bit of fun into your video enhancing process. The app takes a more light-hearted approach than some of the other options we have discussed so far, making it a perfect tool for people who want to create social media-friendly content. For example, you can improve a video with a range of audio effects, including animal noises, farts, explosions, and laughter. There’s also a stop motion tool for short videos on Twitter, slideshow video support, and a stock music library. Videoshop does have a serious side as well. Features such as trimming, slow motion, fast motion, voiceovers, and reverse playback are all present. You can download and use the app for free, though there are some in-app purchases for extra tools and content. We end with InShot. It’s another seriously popular cross-platform mobile app. The Android version alone has more than 100 million downloads. The app is both a video editor and a video maker, meaning you have complete control over how to improve a video’s quality. InShot includes a video trimmer, splitter, and merger, countless filters and effects, speed controls, a video format converter, and an audio editor. Again, the app will appeal to social media junkies who want a video quality enhancer app. It has a preset list of size ratios that cover all the leading social platforms so your video will be right for every audience. Do You Need More Video Editing Tips? There’s no point in downloading these video enhancer apps if you don’t know how to improve video quality in the first place. 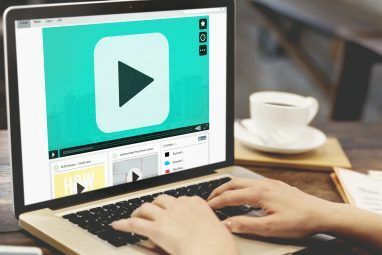 So, if you would like to learn more about video editing, check out our article detailing how to edit videos like a pro How to Edit Videos Like a Pro: 8 Tips You Need to Master How to Edit Videos Like a Pro: 8 Tips You Need to Master If you're just getting into the editing game, you may be confused as to what to do with the many millions of clips you have... well, we're here to help. Read More .